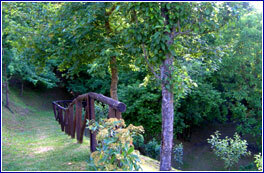 Holiday house La Piastra is situated only 2 km from Castelnuovo Garfagnana, in the wonderful Garfagnana, green valley of the river Serchio, province of Lucca, in the north of Tuscany, between the Apuan Alps and the Apennine mountains of Tuscany. 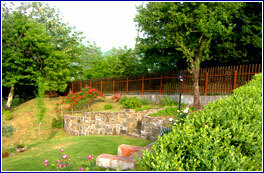 The location of the estate is excellent, entirely immersed in the green valley, surrounded by cultivations and inside a real park where calm and quiet walks can be enjoyed, even by night! From the barn one can see, but also looking out of the wide and large windows, the nature around and the marvellous view in all directions give great pleasure, dominating from high up the view on the near Lake of Pontecosi. The estate, being an oasis of calmness and tranquillity, offers all thebest that is desired to experience a wonderful vacation. Products of the farm are grains, small fruits and the famous"farro (spelt) of the Garfagnana" (of Protected Geographical Origin) and also the delicious acacia and chestnut honey. 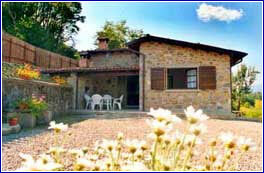 The tourist farm estate La Piastra can accommodate with comfort up to 6 persons. 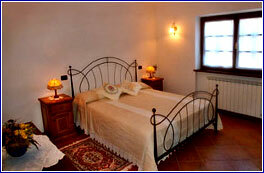 The old country house has been perfectly restored respecting the old traditions. 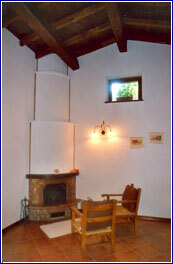 There are 2 rooms, a bathroom, a well furnished kitchenette and a spacious living room with chimney and a firewood oven. 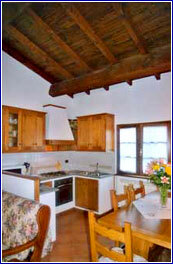 Giving emphasis to the care of the details, the house is "warm and welcoming" , furnished in chestnut wood. 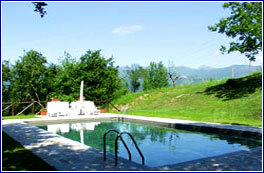 To make the offer complete you will find a swimming pool and a solarium. 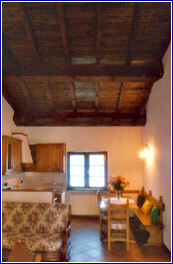 La Piastra is only 2 km far from Castelnuovo Garfagnana, the historical capital of the valley, vital centre and point of reference for the people of the valley and the tourists. The small town, thanks to the synergy of the institutional services, of the variety of traditional events and of the vast offer of the lively commercial sector, succeeds in satisfying the most different requirements of hospitality. The Garfagnana can be reached using the highways, getting off in any case at Lucca, after that take the directions to Castelnuovo Garfagnana and continue for about 50 km. 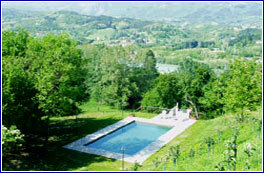 Follow the indications for Camporgiano or Lago di Vagli, avoiding therefore in great part the centre of Castelnuovo. 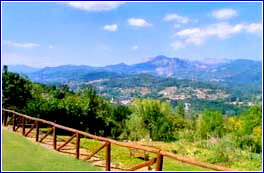 You will find, after just 2km on the left, the indications for Antisciana and shortly after on the right, the tourist sign to the estate. 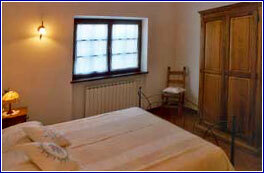 From the North, alternatively, you can reach the Garfagnana by crossing the various mountain passes, driving through picturesque and beautiful landscapes, but to recommend only in summer. From Emilia Romagna: Passo delle Radici (about40. km) or Passo di Pradarena (about50 km). From Aulla: Passo dei Carpinelli (about 50 km). From Massa: Passo del Cipollaio (about 50 km), driving through the unique and savage landscapes of the Apuan Alps.